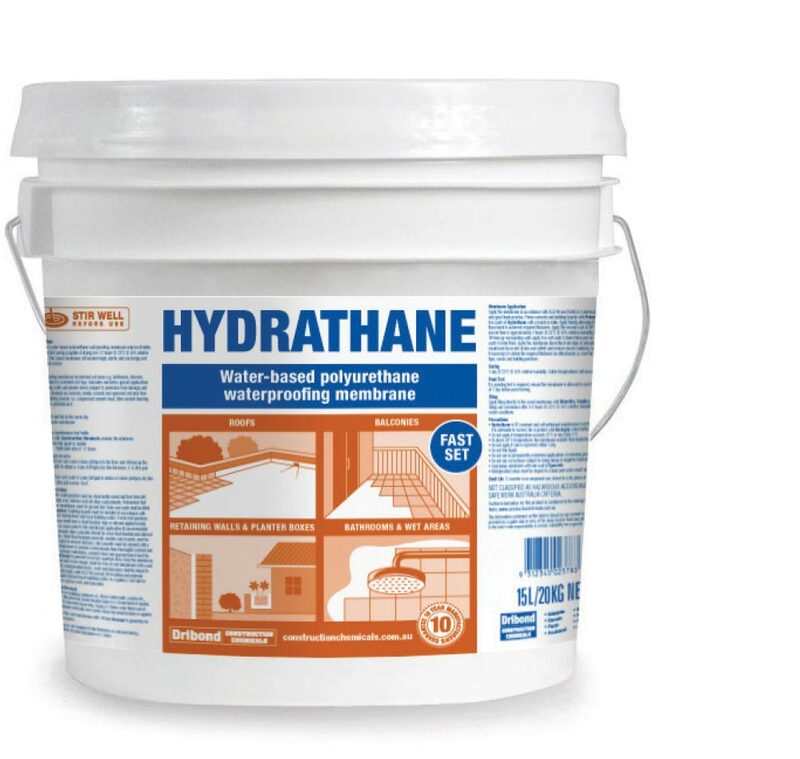 One-pack waterproofing membrane applied prior to tiling bathrooms & balconies or left exposed on roofs & balconies. of 2L/m² (dry film thickness 1.5mm). 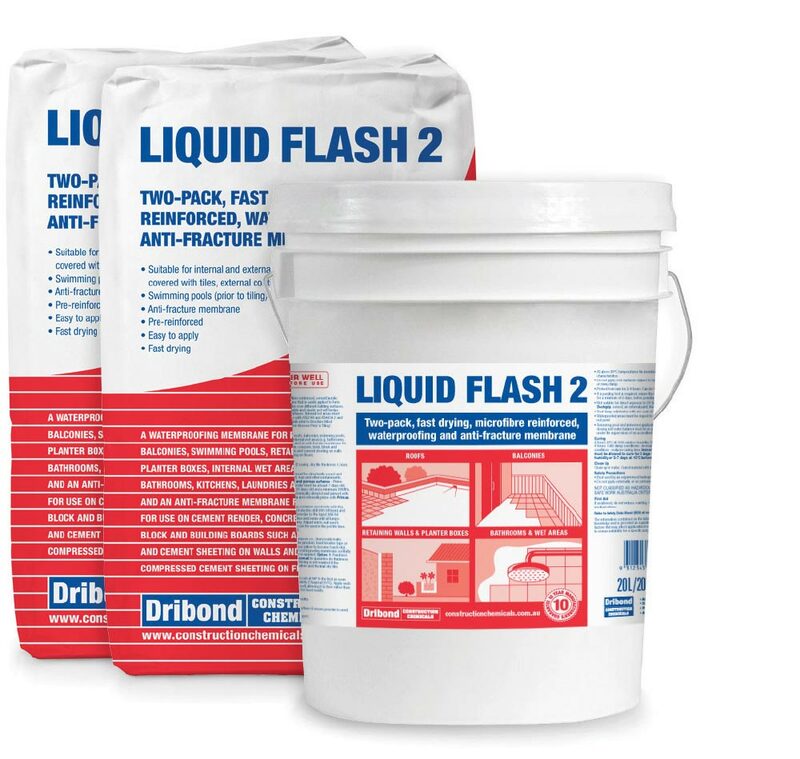 Floors – Apply two wet coats 0.8mm (800μm) to the floor and 100mm up the surrounding walls to obtain a 1mm (1000μm) dry film thickness. 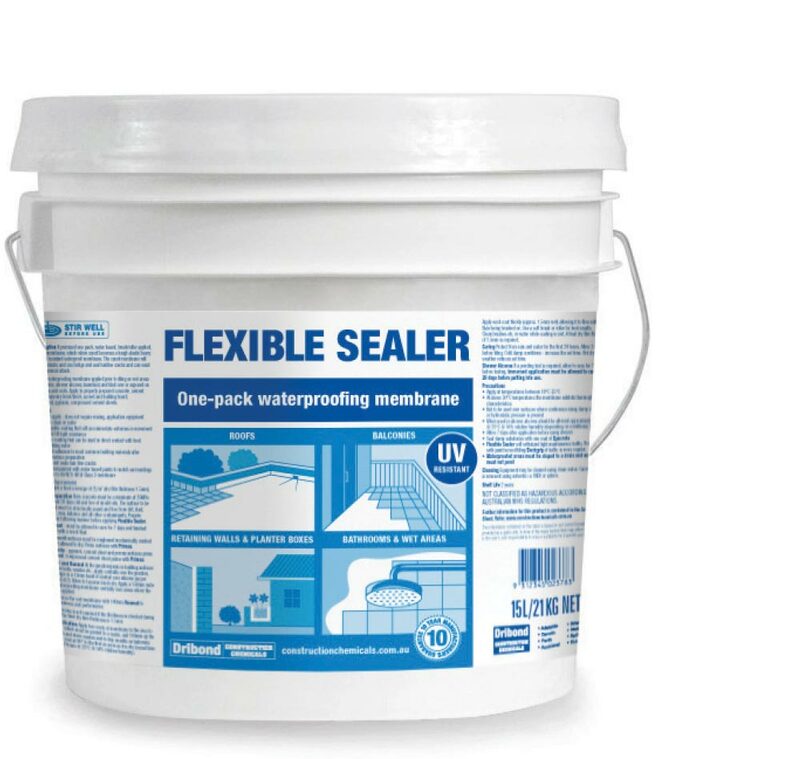 A 15 litre pail covers 10m². Walls – Apply two wet coats 0.5mm (500μm) to obtain a 0.6mm (600μm) dry film thickness. A 15 litre pail covers 15m². Reinforced, brush applied waterproofing membrane. Two coats give a final coverage of 2L/m² (dry film thickness of 1.5mm). Two-pack, fast-drying, microfibre reinforced, waterproofing and anti-fracture membrane. 20L/20kg pack covers 14-18m² (2 coats), dry film thickness 1.5mm. An easily applied waterproofing system prior to tiling. 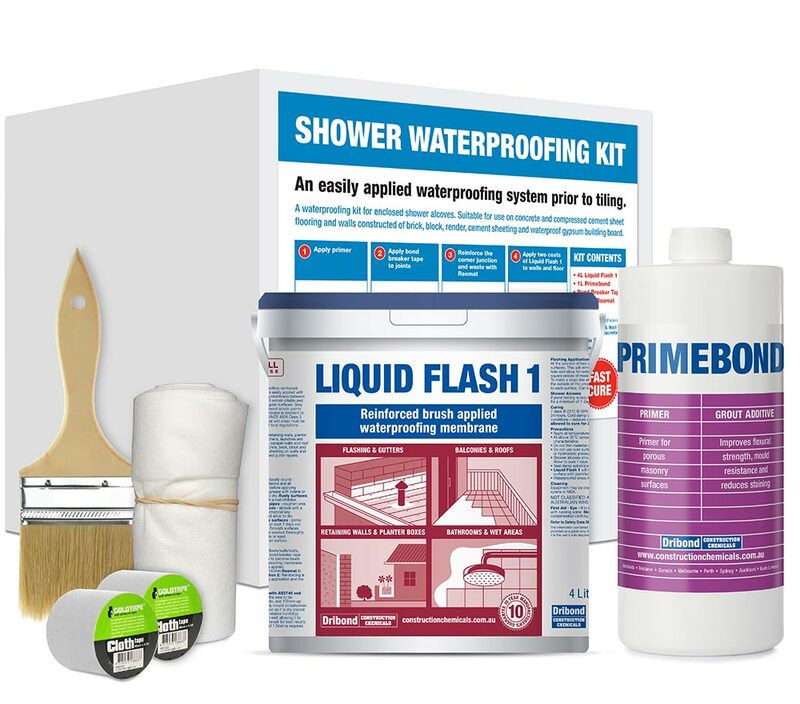 A waterproofing kit for enclosed shower alcoves. 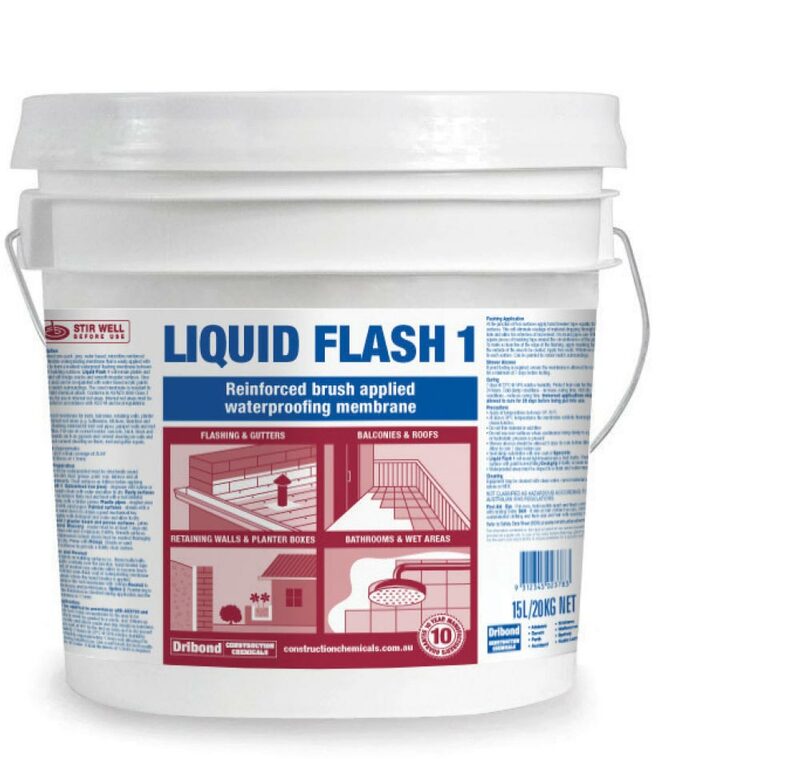 Suitable for use on concrete and compressed cement sheet flooring and walls constructed of brick, block, render, cement sheeting and waterproof gypsum building board.